Added by Debra Tash on January 7, 2018. Two large flags bearing the lion and sun (shir-o-khorshid) were held up and carried throughout the crowd. This is Iran’s original flag. It is over 2,500 years old. People from Kurdistan, Azarbeijan, Balochistan, and Iranians of Arab descent were also among the protesters. The son of Iran’s late Shah, Reza Pahlavi, also took the opportunity to express his gratitude to the Iranian people. The protestors were heard speaking “Death to the dictator!” and “Death to Rouhani” (President Hassan Rouhani). The UK Daily Mail reports protesters surrounding an Iranian mullah, a powerful member of the theocratic ruling class, and changing “Mullahs, be ashamed and leave Iran!” in his face. On Friday afternoon there were reports of protesters filling the streets of Qom, Iran’s spiritual center, and chanting: “We don’t want an Islamic republic!” Another protest chant, “Iran is haphazard without the Shah,” seems calculated to annoy the mullahs and ayatollah. The initial cause of the protests was reportedly public anger over rising prices for food, a generally high inflation rate, and high unemployment. The governor of Mashhad dismissed the protest in his city as an “illegal No to High Prices gathering” at first. Rouhani campaigned on economic renewal, including the benefits accruing to Iran from its nuclear deal with the Obama administration Iran’s inflation rate is a little under 10 percent today, compared to about 40 percent when Rouhani took over from his predecessor Mahmoud Ahmadinejad. Despite Rouhani’s promises, the standard of living for average Iranians has declined about 30 percent over the past 10 years. Corruption and mismanagement of vital resources have also been proposed as reasons for the protest, combined with a debt crisis choking the Iranian banking sector. The protests reached Tehran on Friday as the movement gained support from workers upset by unpaid back wages. The crowd in Tehran was small, estimated at around 50 people. Several arrests were nevertheless reported, perhaps intended as a warning shot against Tehran residents tempted to join in. Meanwhile, Iranian dissidents are talking about an “uprising” that may be more significant than the “Green Revolution” of 2009, and perhaps more difficult for the government to suppress with violence, especially since some of the demonstrators have indicated a willingness to fight back, or to stand their ground in the face of police and militia action. The last major unrest followed disputed elections in 2009. The US condemned the arrest of protesters, telling Tehran that “the world is watching.” “Many reports of peaceful protests by Iranian citizens fed up with regime’s corruption and its squandering of the nation’s wealth to fund terrorism abroad,” President Donald Trump tweeted late Friday. “Iranian govt should respect their people’s rights, including right to express themselves,” he wrote. Some of this week’s protests were directed against financial scandals linked to unauthorized lending institutions which collapsed with the loss of hundreds of thousands of accounts. There has also been anger at welfare cuts and fuel price increases in the latest budget announced earlier this month. President Obama failed to take advantage of a rare opportunity to support grassroots opposition to one of the most destabilizing regimes in the world. The 2009 protests were launched on June 14 of that year, one day after President Mahmoud Ahmadinejad purportedly won reelection in a landslide victory amid widespread allegations of voting irregularities and violations. Obama was silent the first day of the anti-regime protests. One day later, when Iran citizens held the largest anti-regime protest since the country’s 1979 revolution, Obama finally gave a muted response, saying that it was “up to Iranians to make decisions about who Iran’s leaders will be” and that “we respect Iranian sovereignty and want to avoid the United States being the issue inside of Iran.” Obama followed that up with a statement that he was “deeply troubled by the violence that [he had] been seeing on television,” but he fell short of strongly condemning Iran’s terror-supporting government. Obama waited eight days to make another comment following an escalation in the protests, some of which resulted in violence against the pro-democracy protesters. “The United States and the international community have been appalled and outraged by the threats, beatings and imprisonments of the last few days,” he said. Obama made those comments following calls from lawmakers, including future Vice President Mike Pence, then a Republican congressman, for a stronger response. Obama was later asked about his tepid reaction to the Iran protest movement. He replied, “I think that we don’t know yet how this thing is going to play out. I know everybody here is on a 24-hour news cycle. I’m not.” What Obama left out was that, according to reports, his surrogates had already secretly reached out to Iran, beginning a dialogue that would eventually lead to the U.S.-led international nuclear deal with the Iranian regime. In August 2014, Michael Ledeen, a former consultant to the National Security Council and U.S. Defense Department, penned a column at PJ Media stating Obama opened a back channel to Iran during the 2008 presidential campaign. Ledeen said the back channel went through retired Ambassador William G. Miller, who also led the 1979 negotiating mission during the Iran hostage crisis. Ladeen wrote that Miller confirmed his back channel involvement to him. The secret channel was Ambassador William G. Miller, who served in Iran during the shah’s rule, as chief of staff for the Senate Select Committee on Intelligence, and as ambassador to Ukraine. Trump, on the other hand, made opposition to Iran’s fanatical regime a central platform of his successful 2016 presidential bid, repeatedly threatening to rip up the controversial nuclear agreement. In October, Trump refused to re-certify the Iran deal, a process mandated by a law requiring the U.S. president to certify every 90 days that Iran is keeping its side of the agreement and that the deal continues to be “vital to the national security interests of the United States.” In keeping with that decision, it was reported last week that the U.S. and Israel quietly reached an agreement to work together to counter the Iran threat. Inside, the report details the roughly $1 million per minute that taxpayers spend on the $136 billion in pay and benefits to federal workers — over $20.6 billion of which is contained within the Washington, DC “Beltway” alone. Recent years have reportedly seen a marked increase in large payouts, with 165% more federal employees making more than $200,000 a year, and 406,960 making at least $100,000. These findings prompted Open The Books to dub $100,000 the “minimum wage” for government employees. The most-paid man in the federal government is reportedly a heart surgeon at the Department of Veterans Affairs who is bringing in $403,849 annually, while the largest bonus was reportedly $141,525 paid out to a human resources manager at Presidio Trust in San Francisco. President Donald Trump lashed out at Pakistan on Twitter just a few minutes past 7:00 a.m. Eastern time on New Year’s Day, expressing frustration at Islamabad’s inadequate efforts against terrorism and implying that U.S. foreign aid will be terminated as a result. It is not yet clear whether the “no more” exclamation means the complete or partial termination, or temporary suspension, of American aid to Pakistan. In August, President Trump said the “next pillar” of his strategy for battling terrorism would involve a “change in our approach to Pakistan.” Trump accused Pakistan of giving “safe haven to agents of chaos, violence, and terror. We can no longer be silent about Pakistan’s safe havens for terrorist organizations, the Taliban and other groups that pose a threat to the region and beyond,” the president said. ”These killers need to know they have nowhere to hide – that no place is beyond the reach of American arms. Comey’s tweet had more than 30,000 retweets on Monday morning – and thousands of responses accusing him of lacking self-awareness amid the firestorm surrounding the bureau he once led. “Here is hoping 2018 the U.S. will have a clean, politically, FBI…that will actually do their jobs,” one user, David Weissman, remarked. The Department of Justice’s Inspector General is conducting a review of the bureau’s investigation — under Comey’s watch — into former Secretary of State’s Hillary Clinton email servers. 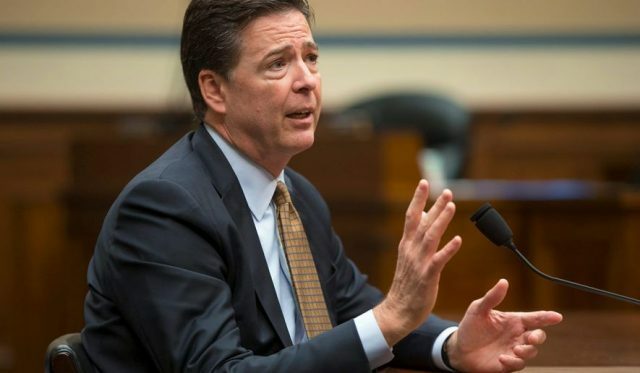 Over the last year, it was revealed Comey began drafting his July 2016 exoneration statement before key witnesses in the Clinton email investigation had been interviewed. The inspector general review also is looking into whether FBI Deputy Director Andrew McCabe – whose wife has strong ties to the Democratic Party – should not have been involved in the investigation. Other top FBI officials, who worked under Comey and were involved in the Russia investigation, have also come under scrutiny for anti-Trump messages. Lawmakers have been alarmed by recently revealed texts from FBI official Peter Strzok, who called Trump an “idiot” and who referenced an “insurance policy” against a Trump presidency. Strzok had been assigned to Robert Mueller’s special counsel probe, but has since been reassigned. Trump’s attorneys have also pounced on Comey for admitting to orchestrating the leaking of his memos about his interactions with the president to the New York Times in the hopes it would lead to a special counsel investigation. Meanwhile, Retired Admiral Mike Mullen, the former Chairman of the Joint Chiefs of Staff, has warned that Washington and Pyongyang are now closer than ever to a nuclear war. “We’re actually closer in my view to a nuclear war with North Korea and in that region than we’ve ever been. I don’t see the opportunities how to solve this diplomatically at this particular point,” Mullen told ABC News. “North Korea’s participation in the Winter Games will be a good opportunity to show unity of the people, and we wish the Games will be a success,” Kim said. “Officials from the two Koreas may urgently meet to discuss the possibility.” He said that the path to dialogue was open and that he would consider sending a delegation to the Winter Olympics in Pyeong­chang, South Korea in February. The Washington Post reported South Korea has been trying to reassure the rest of the world that the Olympics will be safe despite the nuclear tensions, and President Moon Jae-in has said North Korea’s participation would ensure their safety. He also proposed last month that Seoul and Washington postpone annual joint military drills until after the Olympics, and he generally takes a less-confrontational approach to relations with the North than his predecessor, Park Geun-hye. John Delury, a professor of international relations at Yonsei University in Seoul, said Kim’s message to Seoul was “more promising” than he had anticipated, addressing in a specific and actionable way South Korea’s desire to make the Games a success. The idea of improving relations between the two Koreas is one that is frequently spoken about but seldom achieved, and Kim’s warmer words could also be seen as an attempt to drive a wedge between Seoul and Washington. “That should give hope to those in the South who are trying to get something going and open a channel at least,” Delury said. 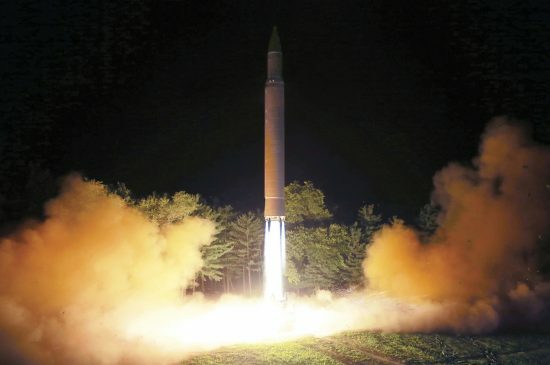 The Washington Post has also reported on North Korea’s rapid advancement of its ICBM program. North Korea conducted its sixth and most powerful nuclear test in September and launched its most high-tech intercontinental ballistic missile in November, ignoring international condemnation and steadily tightening sanctions. Korea has declared the latest round of United Nations sanctions imposed last month an “act of war,” and Kim said his country had achieved the historic feat of “completing” its nuclear forces. The tensions around North Korea’s missile and nuclear weapons program persist due to the repeated nuclear tests and missile launches carried out by Pyongyang in violation of the UN Security Council (UNSC) resolutions. As a response measure, the UNSC has introduced a spate of sanctions against Pyongyang aimed at hampering the development of the North Korean nuclear weapons program. Protesters have been increasingly met with state-sponsored violence in Iran as they take to the streets to voice their opposition to the country’s hard-line Islamic government and its supreme leader, Ayatollah Ali Khamenei. The bloody demonstrations, the largest to strike Iran since its disputed 2009 presidential election, have seen six days of unrest across the country. The number of people killed has now risen to at least 21 after more violence against the extremist government on Monday night. In response, the head of Tehran’s Revolutionary Court has warned that arrested protesters could potentially face death penalty cases when they come to trial, AP reports. Iranian state television aired footage of a ransacked private bank, broken windows, overturned cars and a firetruck on Tuesday that appeared to have been set ablaze. Iran blocked access to Instagram and the popular messaging app Telegram used by activists to organize in response to the growing spirit of protest, although some have still managed to use it to smuggle images out of the country. President Hassan Rouhani acknowledged the public’s anger over the Islamic Republic’s flagging economy, though he and others warned that the government wouldn’t hesitate to crack down on those it considers lawbreakers. Iran’s Supreme Leader Ayatollah Ali Khamenei, making his first public statement on the violence, claimed “enemies of Iran” had stirred up unrest using “cash, weapons, politics and intelligence apparatus to create trouble for the Islamic Republic”. Despite the threats of physical violence, women in the Islamic republic have used the opportunity to call out for more personal freedom and a relaxation of strict Islamic rule and sharia law: The exiled People’s Mujahedin Organization of Iran (PMOI) issued a press release on the deaths of protesters, reporting that “at least two protesters were killed in the town of Izeh and several wounded as the Revolutionary Guards opened fire.” The statement added, “The Guards also opened fire in the town Tuyserkan, killing one protester and wounding several others.” The PMOI obtained video which purports to show the death of one of the protesters. The unrest has remained focused on provincial towns and cities. The semi-official ILNA news agency in Iran reported on Tuesday that 450 people had been arrested over three days in Tehran since Saturday according to Ali Asghar Nasserbakht, a security deputy governor of Tehran. 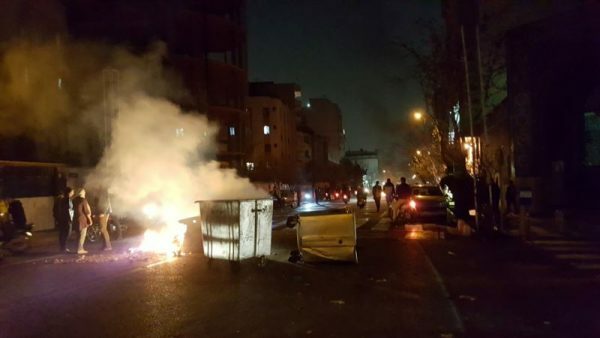 The Iran protests present a “unique moment in history,” said American Center Law and Justice Legal Counsel Jay Sekulow. “This generation of (Iranian) protesters knows about freedom.” According to Sekulow, “We need to support the demonstrators and the Iranian people…President Trump has exposed the spinelessness of the Obama Administration” particularly as it relates to shutting down Project Cassandra’s investigation of Hezbollah’s drug operations so as not to upset the Iran Deal and in providing $1.5 billion to Iran that was used by the current regime to fund Hezbollah and terrorism in Israel and the Middle East. The ACLJ also reported on statements from both Congressman Brad Sherman (D-Los Angeles) and the former Obama Ambassador for Israel that supported the Iranian protestors which they said was now receiving bipartisan support in Congress. Democratic activist David Brock has been exposed as one of the key sources of money behind efforts during the 2016 presidential campaign to entice women to accuse Donald Trump of past sexual misconduct. Brock spent the 1990s attacking the Clintons before undergoing a political conversion, and devoting his efforts — and other people’s money — to a crusade to destroy Republicans and the conservative media. Brock founded Media Matters for America in 2004. Billed as a “charity” — and exempted from taxes — the group corrects conservative bias in the media. In practice, Media Matters attempts to eliminate conservative perspectives altogether, targeting popular hosts, journalists, and outlets. The organization also routinely promotes left-wing causes: in 2011, for example, Media Matters aligned with the Occupy Wall Street movement. Despite the group’s political agenda, mainstream media outlets routinely rely on Media Matters for talking points. Recently, for example, CNN’s Chris Cuomo admitted on the air that he relied on material from Media Matters in criticizing Breitbart. The zenith of the group’s influence was in the 2008 presidential elections, when mainstream media worked in concert to elect Barack Obama, and to avoid and discourage efforts to probe his views and record. Brock has also entered the political arena through his super PAC, American Bridge 21st Century, which he started in 2010, to conduct opposition research against Republicans. The group is backed by left-wing billionaire George Soros, who has been involved in Brock’s other efforts. Emails released by Wikileaks in 2016 raised questions about whether American Bridge and other pro-Clinton super PACs were coordinating improperly with the campaign. 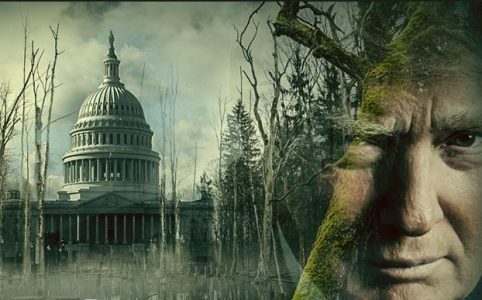 Since the 2016 elections, Brock has spearheaded efforts by Democratic organizations to impeach the president, as described in a confidential memo obtained by the Washington Free Beacon last January. He has also talked about creating a “Breitbart of the left” in the media. Since the riots, police morale has collapsed, and city officials began planning a lighter police footprint in response to complaints of residents and protest leaders. But now, black leaders are blaming cops for the spiraling murder rate, saying that the police pullback has put them in danger. The Rev. Kinji Scott, a Baltimore activist, is blaming city hall for leaving the neighborhoods unprotected. “We wanted the police there,” Scott insisted. “We wanted them engaged in the community. We didn’t want them beating the hell out of us, we didn’t want that.” Scott and others are now pressuring the city to bring police back in as a deterrent to the soaring crime rate. Despite the loud proclamations from BLM activists that the police are the problem, Scott and his fellow activists are now claiming that they never wanted police to go away. In an interview with NPR, Scott claims only the progressive activists wanted cops to be eliminated: “No. That represented our progressives, our activists, our liberal journalists, our politicians, but it did not represent the overall community. Because we know for a fact that around the time Freddie Gray was killed, we start(ed) to see homicides increase. We had five homicides in that neighborhood while we were protesting. Scott also blamed the city for not fostering a community atmosphere between police and the neighborhoods. “The primary thrust nationwide is what President Obama wanted to do: focus on building relationships with police departments and major cities where there had been a history of conflict. That hasn’t happened. We don’t see that. I don’t know a city—Baltimore for certain—we’ve not seen any changes in those relationships. What we have seen is that the police has distanced themselves, and the community has distanced themselves even further. So the divide has really intensified, it hasn’t decreased. “And of course we want to delineate the whole culture of bad policing that exists—nobody denies that—but as a result of this, we don’t see the level of policing we need in our community to keep the crime down in our cities that we are seeing bleed to death. Previously, Baltimore protesters were seen carrying signs that read “disarm the police,” or wearing T-shirts promising to kill cops. Residents created a list of 19 demands issued by protesters in 2015, one of which demanded that police be barred from entering certain buildings or parts of neighborhoods they had designated as “safe” from police. “While the prior Administration cowered before Iranian Mullahs, deliberately ignored anti-regime protests in 2009, and derailed Project Cassandra designed to block Hezbollah, Iran’s proxy terror organization from selling drugs in the United States, President Trump has courageously reversed the Obama doctrine on Iran,” wrote and posted Harry Hutchison of the American Center for Law and Justice. “First, we call for a bipartisan effort to support the Iranian people. It is time for a bipartisan consensus to join with the President, who has weighed in to strongly support the Iranian people. This consensus should ignore the so-called elite opinions of former Administration officials who sold out American and Israeli interests in favor of a flawed Iran Nuclear deal. “Second, consistent with the mounting evidence of Iran’s failure to comply with the Iran Nuclear Deal, the current Administration should once more decertify the Iran Nuclear Deal on January 11, 2018, which is the next 90 day deadline specified under statute. In addition, on January 12, 2018 and January 17, 2018 the temporary waivers of US. Sanctions on Iran are up for renewal. Renewal should not be granted. Moreover, to the extent that a bipartisan consensus emerges in support of the Iranian people, new targeted sanctions, on Iranian leaders rather than the Iranian people, ought to be imposed. This process, taken together, would amount to a canceling of the Iran Nuclear Deal and the placement of additional economic and financial pressure on the Mullahs and their allies. “Third, we should expect all nations to uphold two sovereign duties: to respect and cherish the interests of their own people and the rights of every other sovereign nation. This means that the Persian people, after regime change, should be free to create their own form of government, perhaps one that incorporates the best aspirations of Persia’s 1906 Constitution, grounded in the consent of the governed and equality before the law. “Fourth, consistent with the third principle, a new Persian government must immediately and unconditionally remove its troops and terrorist proxies from Syria, Lebanon and other theaters in the Middle East, immediately cease support of Hezbollah and other terrorist organizations, and stop collaborating with the rogue regime in North Korea and focus on the interests of average working-class Persians rather than the hegemonic interests of corrupt Mullahs who reportedly live in luxury. 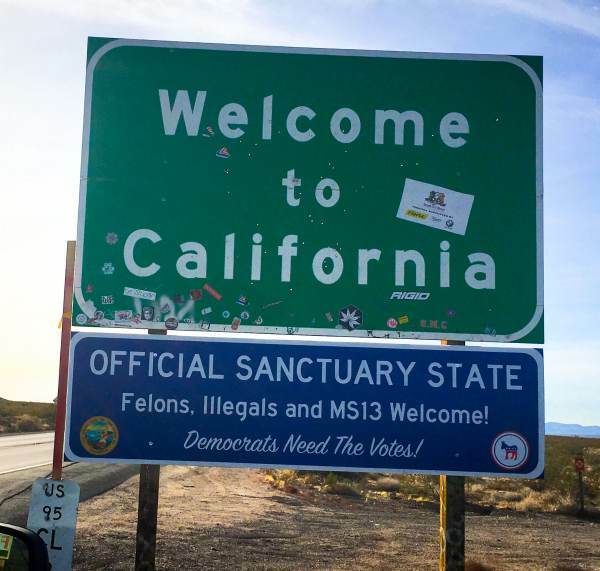 Highway signs proclaiming California an “OFFICIAL SANCTUARY STATE” appeared in at least three places beneath “Welcome to California” road signs on New Year’s Day. Two more signs have appeared since, according to the Washington Examiner. January 1 marked the first day that California’s new sanctuary state bill, SB 54, went into effect, preventing local and state law enforcement from fully cooperating with federal immigration officials. Emblazoned on each sign are what appear to be the seal of the State of California and the Democratic Party logo. The new law going into effect coincides with the week during which the five-time deporteee, seven-time felon illegal alien who killed Kate Steinle is scheduled to be sentenced — not for murder, but for possessing the firearm that killed Steinle. Jose Garcia Zarate, identified previously under one of a number of aliases as Juan Francisco Lopez Sanchez, told a local ABC News affiliate shortly after he was arrested in July 2015 that he chose San Francisco because of its sanctuary city ordinances. The book reportedly is based on more than 200 interviews with the president, his inner circle and players in and around the administration. 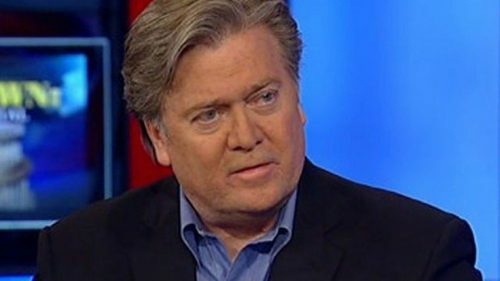 Bannon, who was chief executive of the Trump campaign in its final three months, then White House chief strategist for seven months before returning to Breitbart News, is a central figure. He is particularly scathing about a June 2016 meeting involving Trump’s son Donald Jr, son-in-law Jared Kushner, then campaign chairman Paul Manafort and Russian lawyer Natalia Veselnitskaya at Trump Tower in New York. A trusted intermediary had promised documents that would “incriminate” rival Hillary Clinton. The meeting was revealed by the New York Times in July last year, prompting Trump Jr. to say no consequential material was produced. “Even if you thought that this was not treasonous, or unpatriotic…and I happen to think it’s all of that, you should have called the FBI immediately,” Bannon said according to Wolff. Wolff is a prominent media critic and columnist who has written for the Guardian and is a biographer of Rupert Murdoch. He previously conducted interviews for the Hollywood Reporter with Trump in June 2016 and Bannon a few months later. He told the Guardian in November that to research the book, he showed up at the White House with no agenda but wanting to “find out what the insiders were really thinking and feeling”. He enjoyed extraordinary access to Trump and senior officials and advisers, he said, sometimes at critical moments of the fledgling presidency. President Donald Trump responded personally to his former chief strategist Steve Bannon’s comments about his family members Jared Kushner and Donald Trump Jr. The statement was released to reporters by press secretary Sarah Sanders prior to the White House press briefing. “Now that he is on his own, Steve is learning that winning isn’t as easy as I make it look. Steve had very little to do with our historic victory, which was delivered by the forgotten men and women of this country. Yet Steve had everything to do with the loss of a Senate seat in Alabama held for more than thirty years by Republicans. Steve doesn’t represent my base—he’s only in it for himself. “I support President Trump and the platform upon which he was elected,” billionaire conservative donor Rebekah Mercer said. “My family and I have not communicated with Steve Bannon in many months and have provided no financial support to his political agenda, nor do we support his recent actions and statements. Mercer did say she remains committed in her support of Breitbart News where she holds a minority stake and where Bannon serves as chairman. President Donald Trump is going to war against Michael Wolff’s book, sending a cease and desist letter to his publisher. 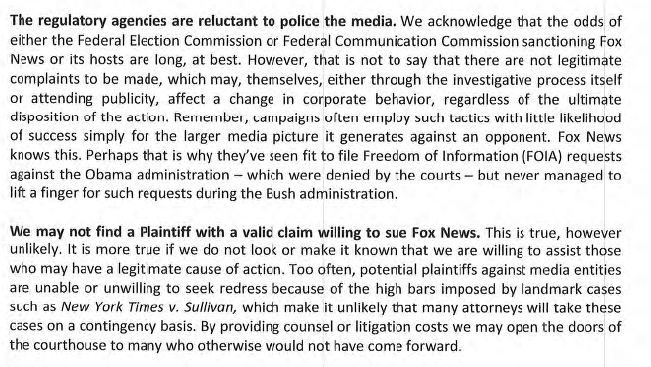 The letter demands that Wolff apologize to Donald Trump for “defamatory statements” and demanding that they not publish the book. But according to Axios, Wolff spent a lot of time with Trump officials in and out of the West Wing, including with Bannon, White House chief of staff Reince Priebus and his deputy Katie Walsh. The book was sanctioned by the White House, although Trump aides are blaming Bannon for enabling Wolff. Wolff has dozens of hours of recorded conversations with Trump officials even though many of them thought they were off the record. Graham decrying the pro-abortion slogans as “lies” and inviting Americans not to lose their sense of right and wrong is calling Americans to “wake up” to the evil of abortion. “Here’s a billboard for them—‘Abortion is evil, because it’s murder,’” Graham tweeted. “Pray that America will wake up to the tragedy of children being killed through abortion every day in this nation,” he added. The pro-abortion campaign follows hard on the heels of the passage of a new Ohio law prohibiting the selective killing of babies with Down syndrome through abortion. In late December, Ohio Gov. John Kasich signed the “Down Syndrome Non-Discrimination Act” into law to protect children with Down syndrome from becoming victims of abortion because of their condition. “While every unborn child deserves protection from abortion death, House Bill 214 is helpful in protecting those targeted for destruction due to cultural bigotry against babies identified before birth as ‘abnormal’ or ‘imperfect’ due to a Down Syndrome prediction,” Cincinnati Right to Life said in a statement. The Trump Administration has just announced it is freezing upwards of $1 billion in security assistance funds to Pakistan. From 2002 to 2017, the United States has given Pakistan nearly $34 billion in economic, humanitarian, and security aid. On average, over the last five years, the United States has pledged over $1 billion in security funding. In fiscal year 2017, the U.S. had pledged nearly $1.2 billion in total security funding. $250 million of that U.S. aid was earmarked for purchasing military equipment. The rest was allocated for reimbursing Pakistan for its alleged counter-terrorism operations. As of this week, most of that $1.2 billion is now frozen. Pakistan could be denied close to another $1 billion in 2018. A bank has reportedly handed over a series of financial records from intelligence firm Fusion GPS after the firm pushed to prevent the documents from being given to Congress. The release of the documents was in response to a subpoena from the House Intelligence Committee as part of its probe into Russia’s meddling in the 2016 election and ties to the Trump campaign. A congressional lawyer said Friday that TD Bank “produced all remaining responsive documents” to the House Intelligence Committee under the terms of a confidential settlement, CNN reported. The handover of the 70 documents comes after a federal judge on Thursday dismissed the firm’s protests to the documents being turned over to Congress. Fusion GPS has argued that records turned over to Congress are likely to leak, potentially exposing their clients’ identities, violating the firm’s First Amendment rights and damaging their business. The firm said on Thursday it would appeal the judge’s ruling. Fusion GPS had contracted former British intelligence agent Christopher Steel for research that later became part of a dossier of unverified claims about President Trump‘s ties to Russia. Trump and other Republicans have since slammed the dossier as politically motivated, claims that the intelligence firm has dismissed. Sanctuary State? Another nail in California’s coffin. Yet, the ignorant allow their “representatives” in Sacramento to continue with their misdirected ideas that become insane laws.